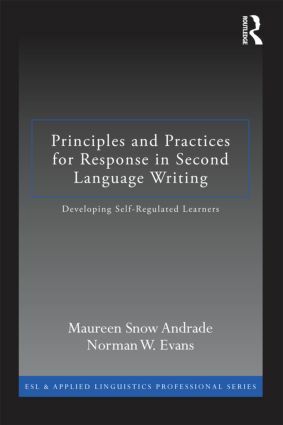 Based on the assumptions that students expect feedback and want to improve, and that improvement is possible, this book introduces a framework that applies the theory of self-regulated learning to guide second language writing teachers’ response to learners at all stages of the writing process. This approach provides teachers with principles and activities for helping students to take more responsibility for their own learning. By using self-regulated learning strategies, students can increase their independence from the teacher, improve their writing skills, and continue to make progress once the course ends, with or without teacher guidance. The book focuses on the six dimensions of self-regulated learning —motive, methods of learning, time, physical environment, social environment, and performance. Each chapter offers practical activities and suggestions for implementing the principles and guidelines, including tools and materials that teachers can immediately use.